This is listed as b-stock as the customer bought in store but wanted to return it 3 days later as he couldn't get it to do what he wanted. The retail box is a little worn but keyboard & accessories are in excellent condition. Full warranty included. The Roland A-49 is a portable MIDI controller that has a lightweight, streamlined design – as well as a premium-grade, full-sized keyboard with 49 velocity sensitive keys. The keys have a rounded shape for a comfortable touch. At less than 2.5 kilograms, it’s easy to lift and carry, yet strong. For further portable convenience, the A-49 is USB bus powered and doesn’t require an AC adapter or cable. 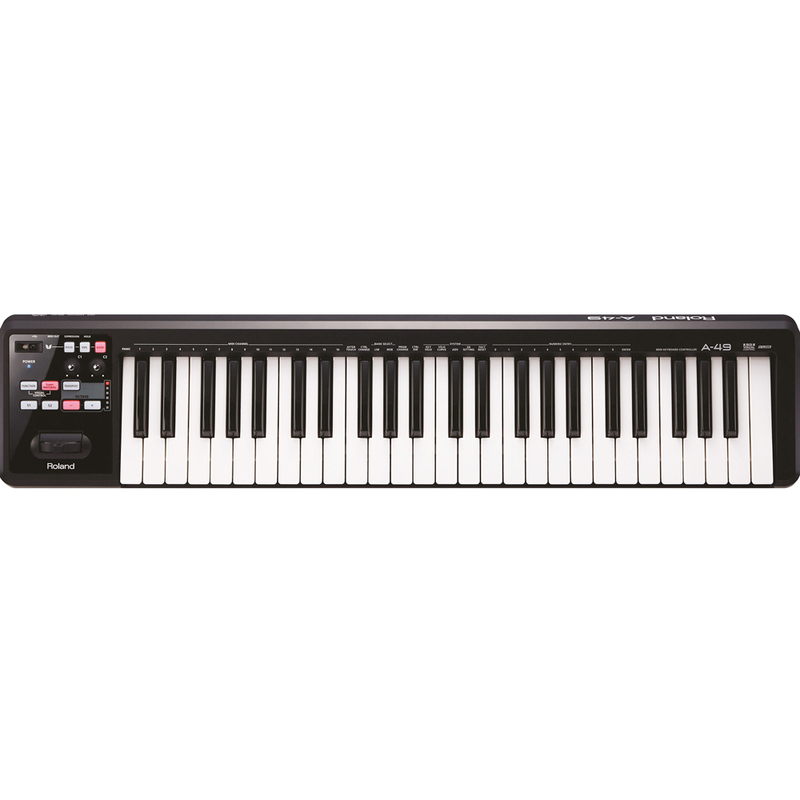 Here at The Disc we think the A-49 is a dream for musicians seeking a simple, compact, and easy-to-use MIDI keyboard, with pro-quality playing feel. The A-49 is extremely easy to use. It has two knobs and two switches, as well as the invisible D-BEAM controller that enables you to add colour and excitement to your performance simply by the wave of a hand. All the controls are easily accessible and arranged to make your workflow fast and fluid. There are dedicated octave buttons, a transpose button, and LED indicators. Other settings can be accessed via the Function button, which lets you use the keys to perform additional tasks printed above the keyboard. The A-49 can also assign all of its controllers automatically for fully utilising an external SuperNATURAL sound module such as the INTEGRA-7. 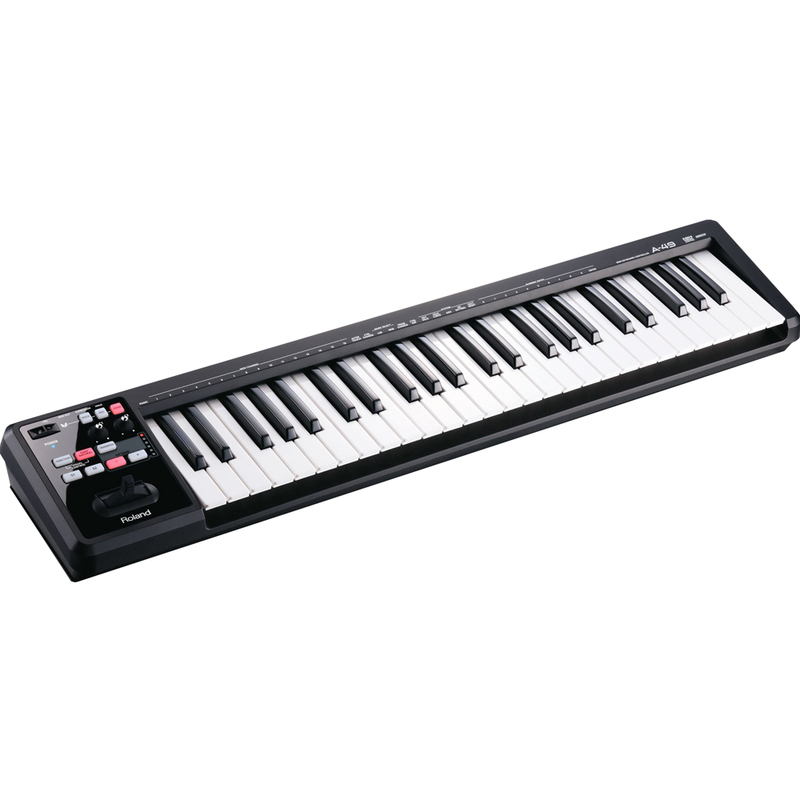 It’s also a great second keyboard for controlling synthesisers that have onboard SuperNATURAL sounds, such as the JUPITER-80 and JUPITER-50. The A-49 can be used with either a Mac or PC, and provides clean connections via its recessed rear panel, so you can place a computer monitor or laptop in the perfect position for creating music. With its clutter-free surface and mobility, it’s also the perfect partner for the iPad (the A-49 can be connected to the iPad via an Apple iPad Camera Connection Kit, not included).